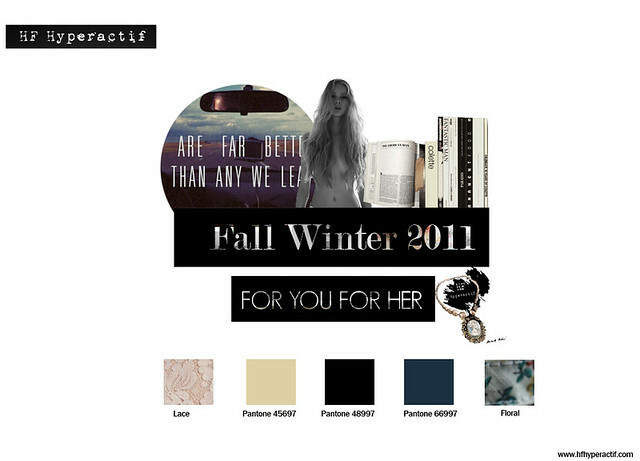 FOR YOU FOR HER is the name of the Luxury Line made by HF Hyperactif. The whole concept involves lots of creativity & global trends use like the Cinematic nostalgia trend (Fim noir movies or Federico Fellini's characters aesthetics to name a few ones) translated in prints and button shapes). Developed for a very specific type of woman: A sophisticated, feminine but trendy girl with a bit of a classical touche. Femininity and minimal delicateness, are adjectives that could well describe our season’s collection. 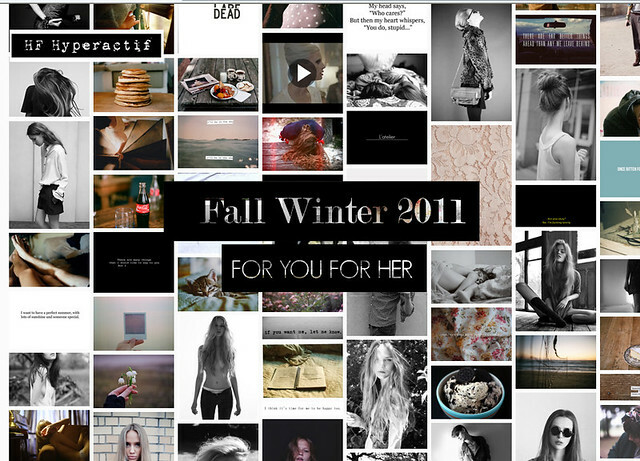 Go and see For you for her Fall 2011 Collection here.